We are offering Heart Shaped Briolette to our clients. Natural Genuine Green Apatite Beads Size 4-5mm Rondelle Faceted Briolette Beads Strand 14 Inches Long Jewelry Making Beads . Quality is very High , We would say BEST QUALITY BEADS. BEST VALUE FOR MONEY. Very Good Luster. Its an fine isreal cutting lemon topaz gemstones. Its an larger size drops shape. These gemstones is possible in all kind of shapes and sizes. These are specially imported for designers, they are used for raw materials. We provide our clients an enticing array of fancy briolette beads that are exquisitely designed in line with the latest trends. Offered in several shapes, color and sizes, these beads are widely used for perfect luster and lawless finish. Available at industry leading prices, we also customize these beads as per the requirement of the client. 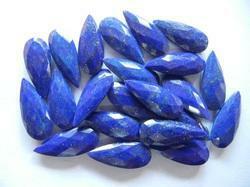 We offer a huge range of lovely Sapphire Briolette Beads that includes both Blue Sapphire Beads and green sapphire beads. 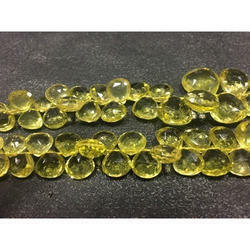 We have firmly positioned ourselves as one of the supreme Sapphire Briolette Beads manufacturers and suppliers based in India. We are offering wide range of briolette gemstone. These briolette gemstone are offered in multi color and have elegant looks. We are specialized in manufacturing and supplying remarkable range of faceted briolette beads.